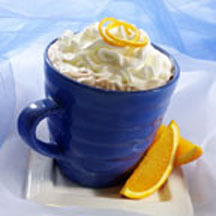 CooksRecipes has quality, kitchen-tested recipes hot chocolate beverages and drinks that you can count on for deliciousness. Make something special to warm up on a cold evening — rich, creamy and comforting, this hot cocoa boasts a hint of cinnamon, chocolate bits and whipped cream. No need to get out a lot of spices for this easy recipe! 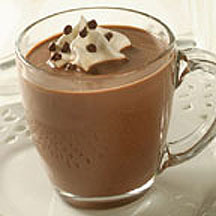 Warm up with a creamy, chocolate version of a chai beverage that is a snap to make. 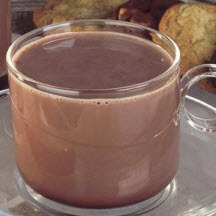 It's quick and easy to enjoy the incredible rich flavor of a cup of homemade hot cocoa.